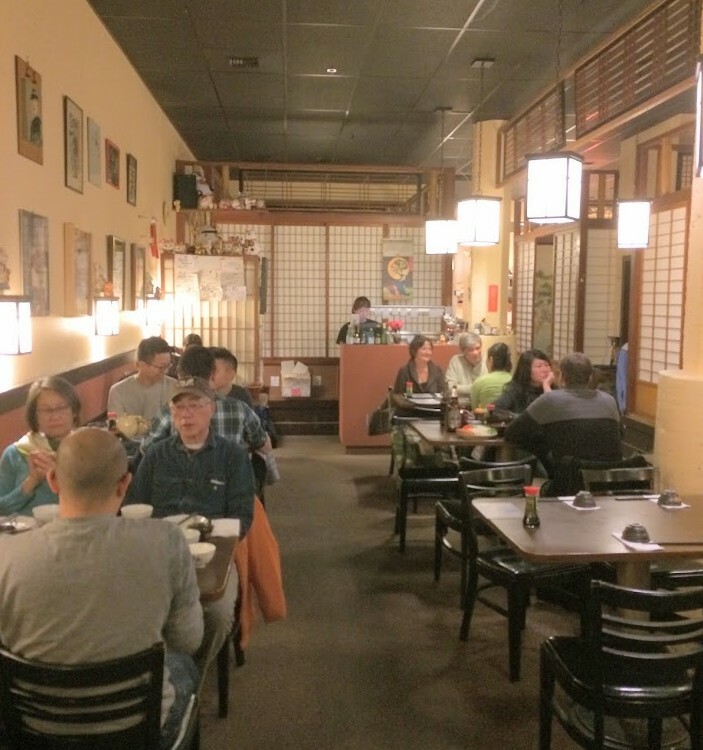 How does one resist the urge to go to a place that is the oldest Japanese restaurant in Seattle? You can’t. But you have to be patient and get a reservation. 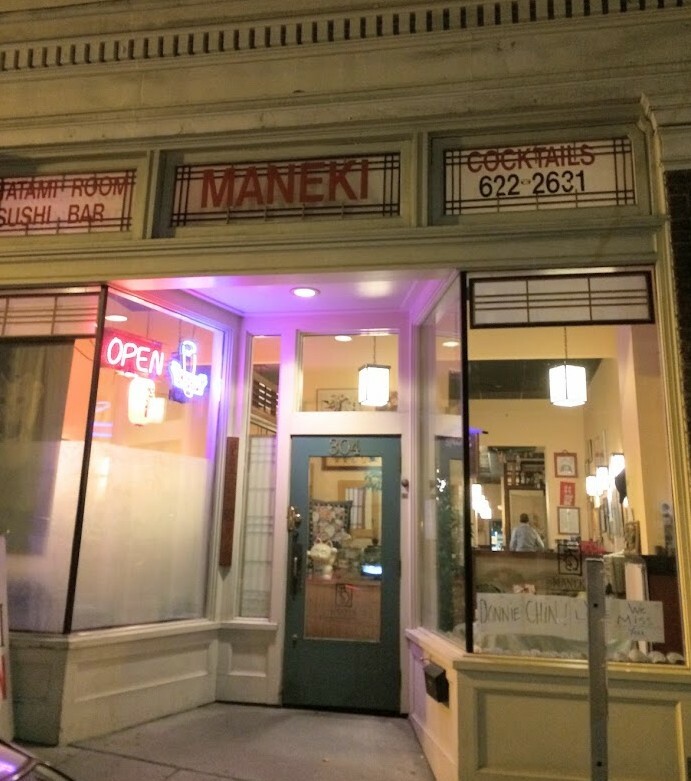 Walking in is pretty impossible at Maneki. In the Japantown area of the International District, we needed to try it because of all the things we have heard about it. 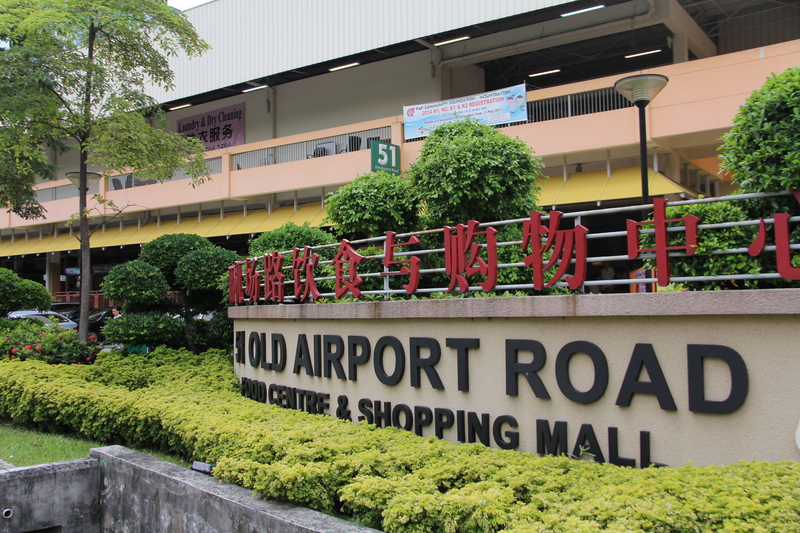 Opened in 1923, this location is around the corner from the original one. This is the main dining room, there is a bar section, and two private rooms plus a smaller sushi bar in the place. But it’s not big at all. What about the food? 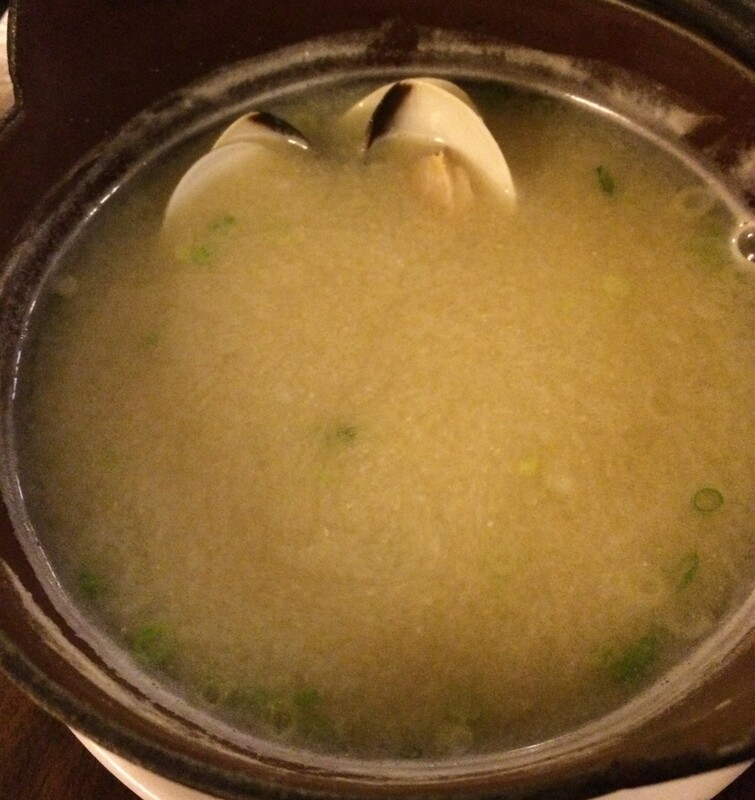 We started with a Clam Miso Soup. Great taste. 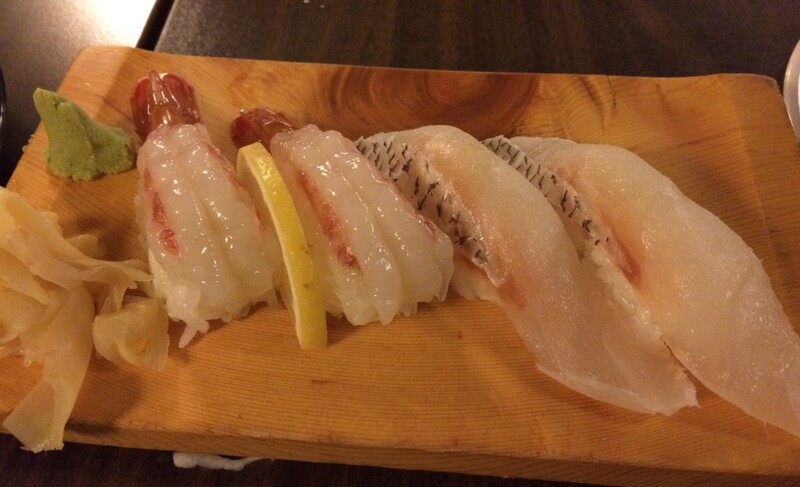 We asked our server what was fresh from the Sushi bar today and she said Madai and Amaebi. So we had to try. So fresh and sweet. 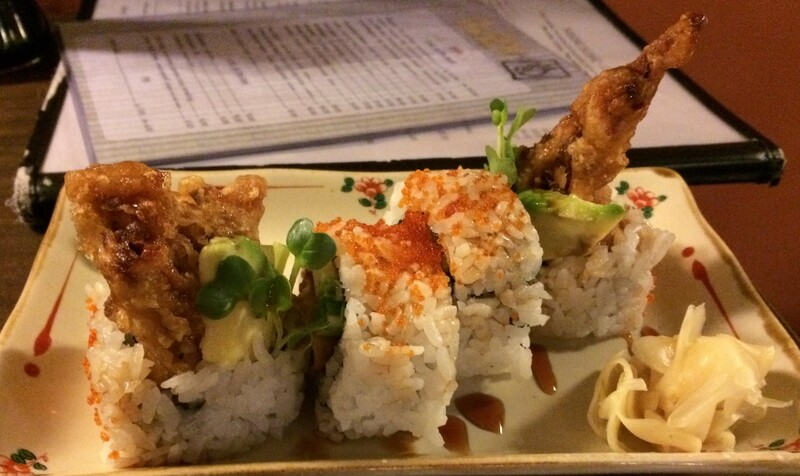 Spider Rolls are also our thing, so we went for that also. 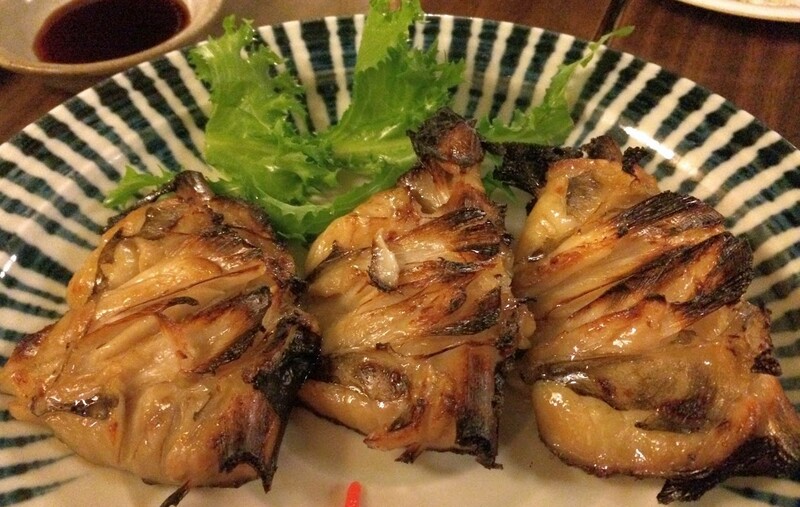 We were surprised when they brought us the heads of the Spot Prawns used in the Amaebi. Very flavorful! 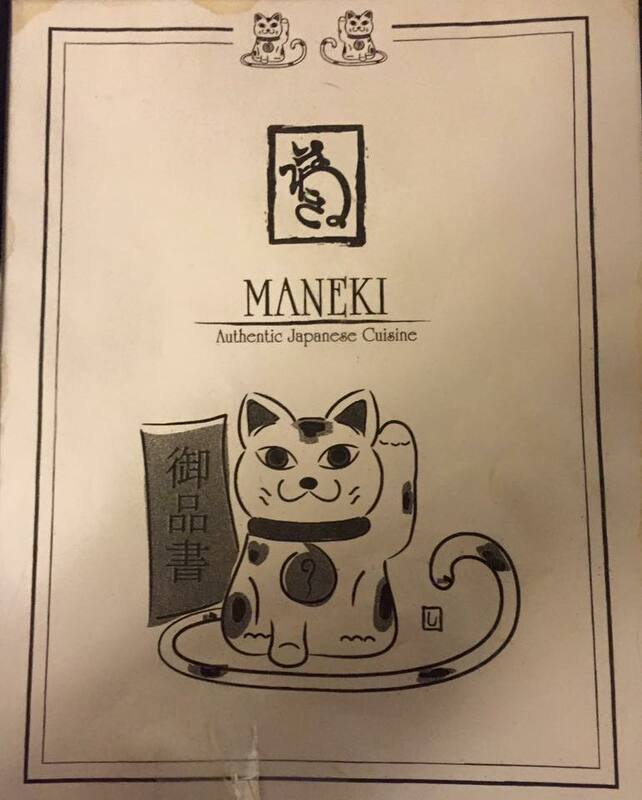 One of the star attractions at Maneki is the Miso Black Cod Collar. So sweet and smooth. Wow! 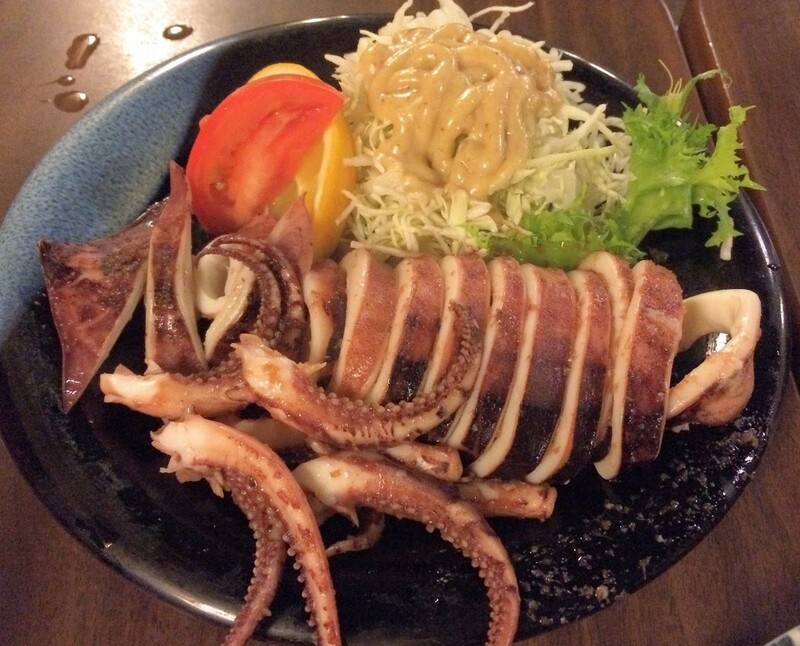 Some Ika Maru Yaki, the Squid was nice and fresh. Unagi Hotpot Rice. 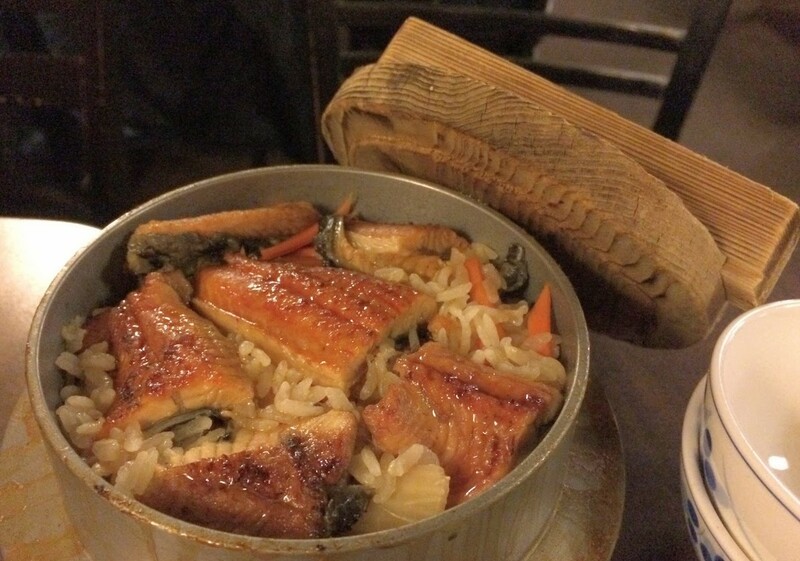 It took awhile to cook, but the Unagi was sweet, the rice nice and sticky and flavorful. Yum! 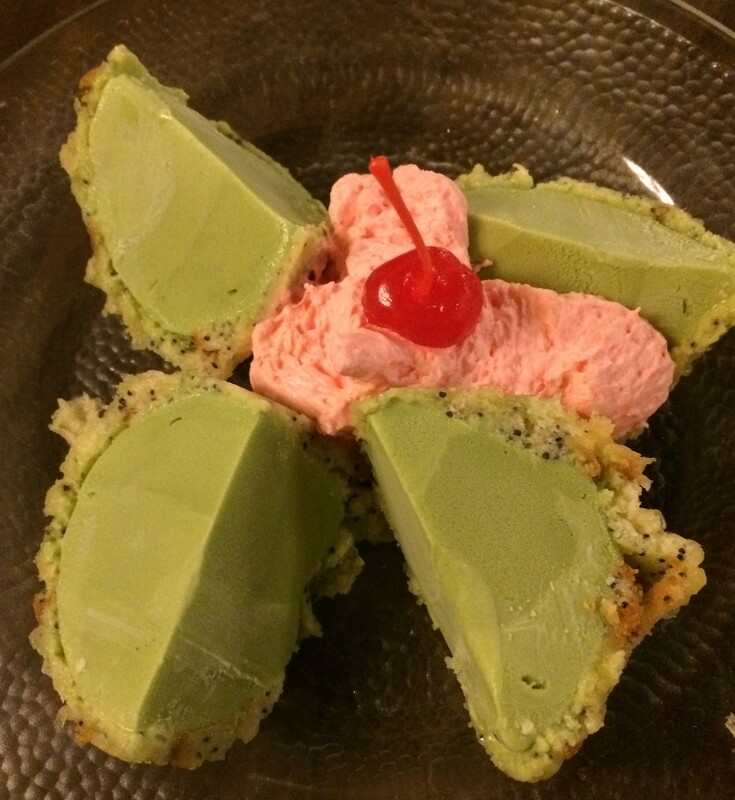 And to top it all off, some Tempura Green Tea Ice Cream. Yum! It’s been around a long time and I can see why. If you live in Seattle, you need to go at least once in your lifetime. 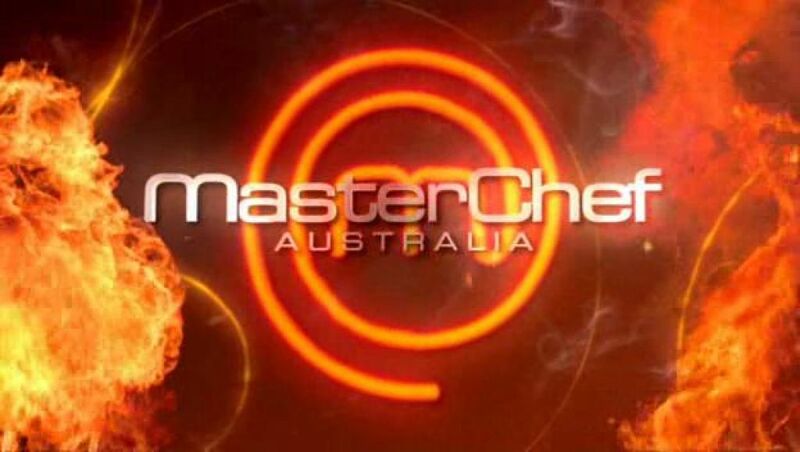 If you’re visiting, make the reservation and go! Posted in Japanese, Seattle, SushiTagged Fish, Japanese, Seattle, Sushi, Tempura, UnagiBookmark the permalink.